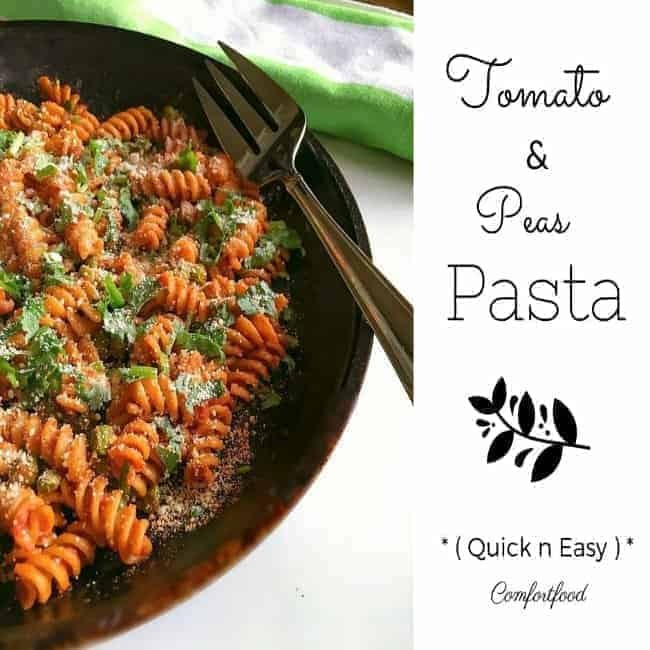 Quick Tomato Peas Pasta Recipe is an extremely delicious and quick pasta recipe using pasta sauce, frozen peas and seasoning. It’s a recipe enjoyed by all age group and tastes fantastic served hot or cold. Did I mentioned that Winter is my favorite season! It’s also a season of comfort food shared with loved ones, old traditions and maybe starting new ones too. Do you have any ‘Family Tradition’ that no matter come what may, you definitely follow? Today, I’ll share one of ours – Quick Tomato Peas Pasta recipe. Every day after school, we sat down for lunch together and there were day’s when I was fussy to eat vegetables or just about anything. 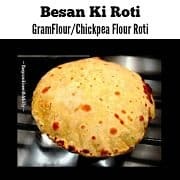 So Mom was always making recipes which either hid the veggies so well, that I wouldn’t come to know or add the ones I liked (which were like none :). And one of those days, our Indian market got flooded with then magic food ‘Pasta/Macaroni‘ and it was a boon for all parents and kids together – Win-Win situation 🙂 ! 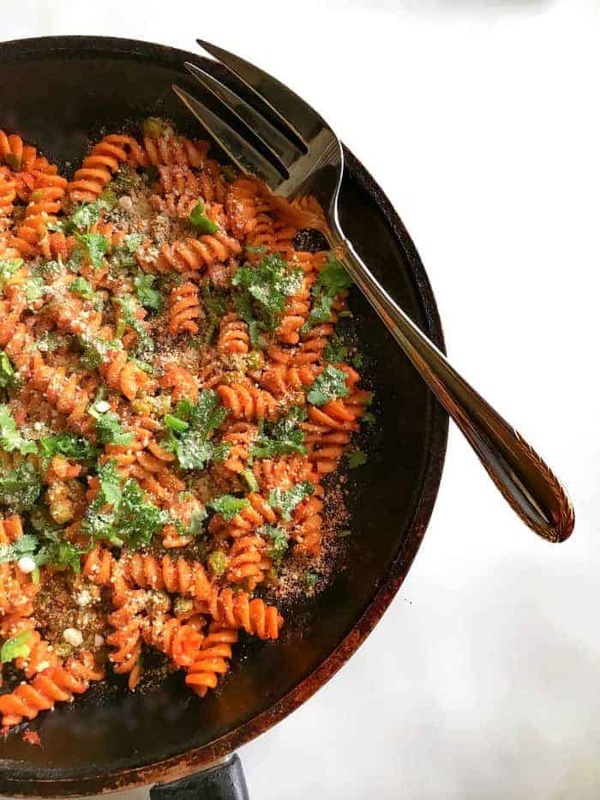 From then, every week Mom made this Quick Tomato Peas Pasta recipe for lunch and upon request, she started making more to be packed in a lunchbox for next day. 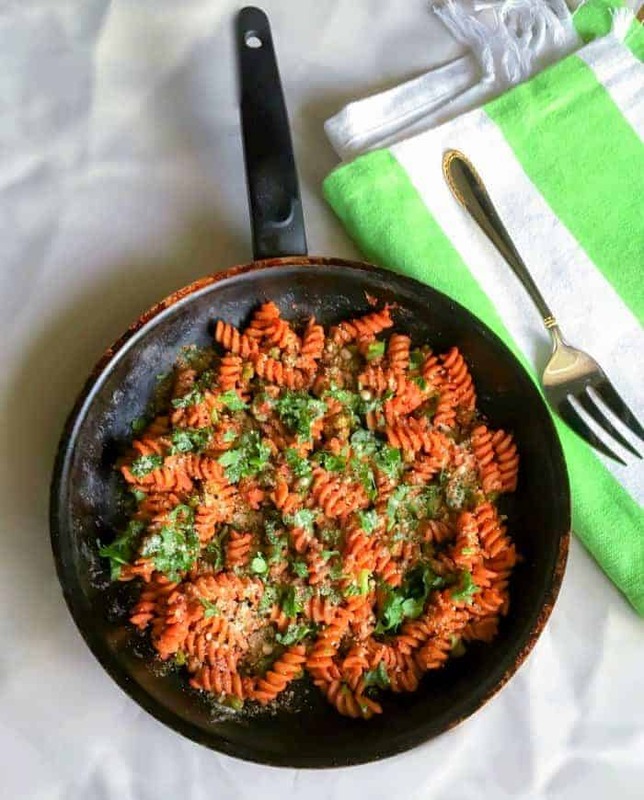 Initially, it started as a Tomato Peas Pasta recipe for just the two of us, but later was shared across family, friends and was almost anyone who asked. 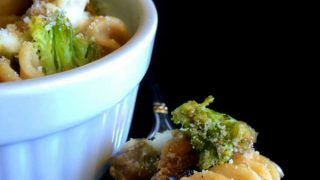 It also became our favorite ‘Family Movie Night’ dish along with a hot cup of soup. Everytime she made it, I would love to help here around and that became our fun time together. Mom’s recipe is fairly simple and the pasta sauce was made from scratch. 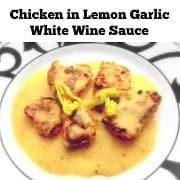 Even after moving to the USA, I still make this recipe on movie nights/girl’s night in and it’s loved by one and all. 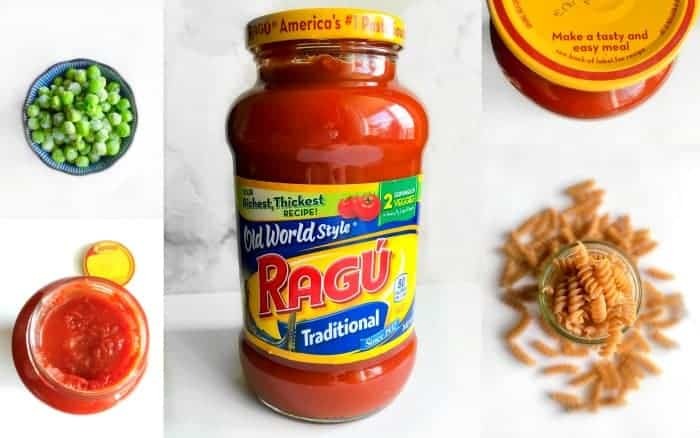 Over the years, the only change I’ve made was to start using ** Ragu’s – Old World Style – Traditional Pasta Sauce ** as it gives you the same homemade sauce taste. Who wouldn’t want that! Did you know that Ragu – Pasta Sauce recipe was created in 1937 by an Immigrant lady ‘Assunta Cantisano‘. 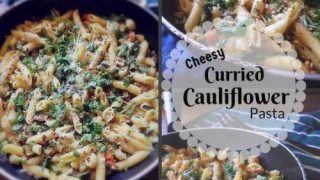 They still use the same recipe, although they have many more pasta sauce varieties now – check them ** here ** . The good part about this recipe is that it can be made in a big batch (to be stored for later use up to 2 days). 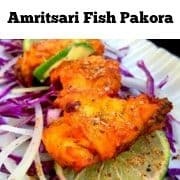 Tastes great served hot or cold and you seriously can just about add any veggies (grated or thinly chopped) as per choice. 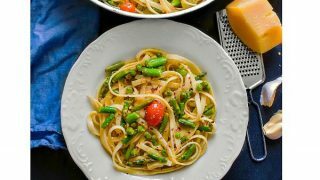 For this Tomato Peas Pasta recipe, I’m using ‘Whole Wheat Riotini‘ (corkscrew shape) but you can use any pasta or even glutenfree paste (if you’re allergic to or avoiding gluten). Once the pasta is made, just sprinkle some chopped cilantro and shredded cheese and you are good to go. 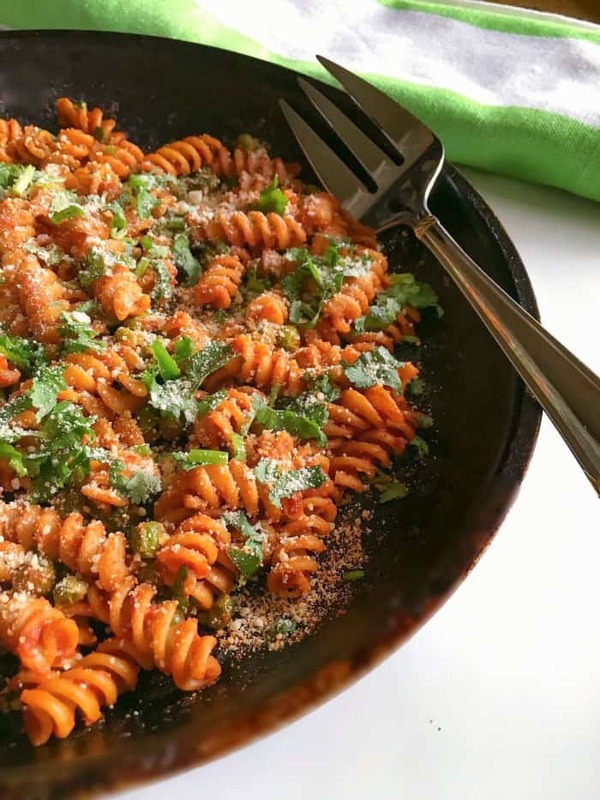 Give this simple yet comforting Quick Tomato Peas Pasta dish a try and trust me your picky eaters would love it too. Cook pasta as per package instructions and keep aside. In a pan, heat oil and saute green peas for 2 minutes. Add garam masala (optional) and saute. Add the cooked pasta and saute everything. Cover and cook for another 2-3minutes. Sprinkle freshly chopped cilantro, jalapeno and cheese. Serve fresh or store in air-tight containers to be stored in fridge for upto 2 days. 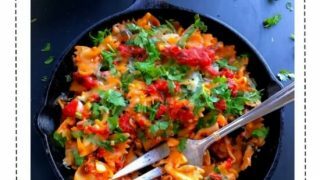 26 Replies to "Quick Tomato Peas Pasta (Easy Family Meal Recipe)"
This looks so good Molly!! Plus it’s great for Meatless Mondays too! I love quick and easy meals! 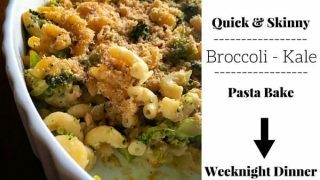 I always love quick and easy pasta dishes like this that you can throw together quick, plus with the addition of peas I know my kids would love this! Looks great! It’s funny I have never put peas in pasta before. 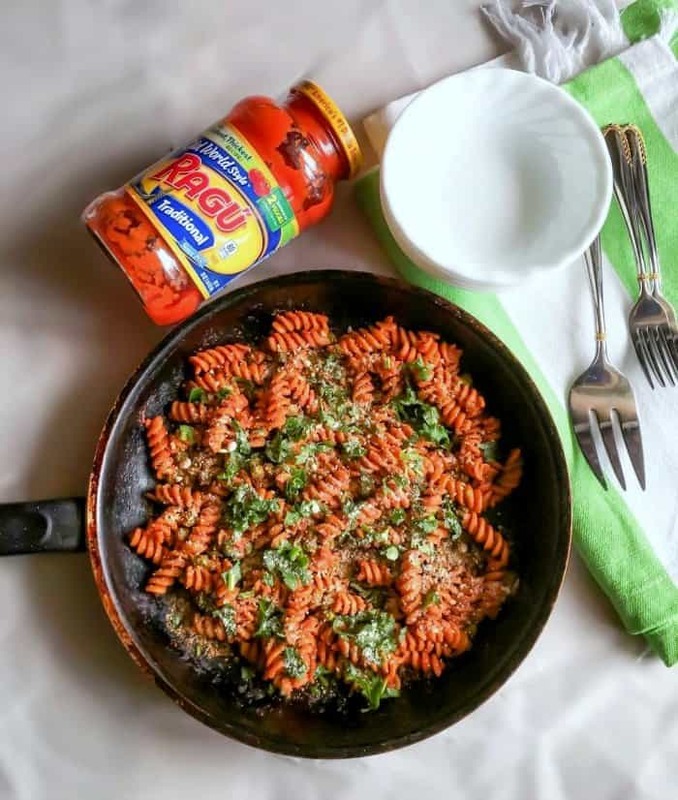 Love easy quick dinners….and pasta is such a great way to make it fast and easy. Easy recipes are just what I need. 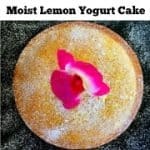 I love how easy this comes together and it looks delicious too! I always have peas on hand so this is the perfect easy weeknight dinner recipe for me. I love winter too. And pasta! This looks so comforting ! 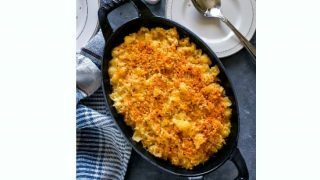 I was just about to say quick and easy is my middle name but then when I thought about it, it sounded kind of sketchy so instead I’ll just say that I love how simple this recipe is 😉 Yum! Hahahha…I can so imagine, food does that to me too 🙂 Glad you liked it . 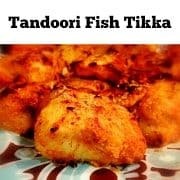 What a yummy recipe – and – it looks so easy to make! Thanks for sharing! That sounds realy good! I love how easy it is to make! This looks incredible! So simple, but so bright and flavorful as well, I’m sure. Totally going to whip this together soon. That would be fantastic Dana – give it a try soon n thanks for visiting!